A mother, businesswoman, author, radio personality, and professional counsellor, Criselda Dudumashe’s journey is one that inspires millions of people around the world. 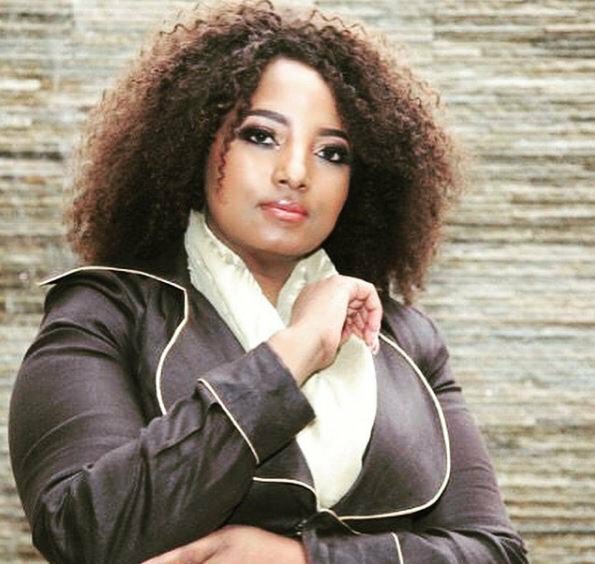 Not only was she abused as a young girl, but Criselda Dudumashe has positively lived with HIV for many years, giving hope to many that your status does not have to define you. Her tremendous work has even earned her an award for her contribution towards the up-liftment of young women in South Africa. We spoke to her about how she managed to heal from an abusive childhood and how she managed to trust men again after being infected with HIV by her previous lover. You have gone through a lot in life - being sexually abused as a child, living with HIV, raising your children alone. How did you manage to stay so strong and still shine despite all that life threw your way? Knowing that I am never alone and God is always with me is what has kept me. I came to that realisation at seven years of age when God protected me after I ran away from home and stayed on the streets. God always provided an angel for me to help shine the light in the darkness. I also learned that everything that happens in life is meant to happen to you in particular and there is a lesson to be learned. Unfortunately, most of the time we focus on the bad and don’t even realise the good that we can learn from a situation. Life is balanced, that is why there is night and day. We are not supposed to go through only bad things, but sometimes we are too caught up in our pain and circumstances that we don’t even see the light right in front of us. You say that the chapter about abuse and running away from home was the hardest chapter for you to write in your book 'You Are Not Alone'. How did you finally heal from abuse? It was important for me to get to know myself. The day I realised that I am God’s favourite daughter, I’m uniquely created, I can do anything and there is something special about me, that’s when I began to heal. Of course I also had to go through counselling and relive the moments, but prayer saw me through. I made a decision to forgive unconditionally and asked myself what lesson was I meant to learn from my experience? I am now using that experience to help women who are going through the same. What is your advice to women dealing with abuse? Circumstances don’t define you. Seek help, but know that you are born for a purpose. Learn to love yourself and believe in yourself and you will attract good things. Moving on to finding love. After all that you have been through, how easy or difficult was it for you to trust men again and to allow yourself to be in love? After I became my best lover and my best friend, I was able to find love again. I learned to talk more, express what I felt truthfully, and to be true to myself. You recently celebrated your one-year wedding anniversary. What is the one important lesson marriage has taught you? Marriage has taught me patience, to love unconditionally, and to know that you are not in control of anyone’s feelings. It’s also important to commit to loving your spouse on a daily basis. I told my husband ‘I don’t want to fall in love with you, I want to grow in love with you’. By that I meant that I am open to the lessons that love wants to teach me. Marriage has taught me that you need to celebrate your partner’s good qualities. If you choose to focus on his bad qualities, you will just see more of those than the good. What is the one lesson life has taught you that you would like to share with someone out there who feels life is just too much to handle? This is the lesson I wish the 16-year-old Criselda knew; that I am enough and I have everything in me that I need in order to be the best that I can be. I have also learned that it is important to know who you are. After I discovered myself, my passion opened doors that I never even dreamt of, so know who you are.